I’m a very experienced instructor and trained with LDC before joining Supreme. The training I received was very client centred so fits in very well the the way Supreme teach. I generally ‘ask questions’ rather than ‘tell’ my clients, this coaching way of teaching gives a calm and relaxed feel to the lessons. My pupils have really benefited with this learning environment with most of my pupils gaining a ‘first time’ pass. You will be learning in a top of the range Ford Fiesta 1.5 Diesel with Hill Start Assist, Full Leather, Anti Stall, Heated Seats, Climate Control. I’m looking forward to helping you gain your licence. Would highly recommend Kev, great instructor wouldn’t have wanted anyone else! I had lessons with Kev and I couldn’t have asked for more in an instructor. Personable, knowledgable and just an all round great person. Passed my test first time! Would highly recommend! Thanks kev! Kevin my instructor was wonderful. Kevin was not only able to identify my issues but was also able to help me correct them. I was an incredibly nervous driver when it came to test conditions and this was the main element holding me back. Kevin was able to help me with this by giving me mock tests and setting up test conditions with me being examined by other instructors. We then created the plan to give me a surprise test, I knew I was going for my test an hour before it began. I took the test and passed. The techniques used and attention to what was holding me back was fantastic. Kevin’s teaching was excellent and professional and allowed me to pass. Therefore I would highly recommend Kevin and Supreme. Just passed last week with Supreme. Had Kev as my driving instructor. This guy was supportive throughout – great instructor. Had been completely honest with me from the get go and does not give up until you have done what was set out to do and accomplish. From the individual hours to the complete duration of learning right up until you’ve passed. Really recommend supreme driving helped me pass quickly first time! I had kev who was a great instructor. Was a great experience. Passed both my theory and practical first time thanks to Kev. He was a great instructor who always made me feel relaxed when driving and was very flexible on letting me choose what to do during lessons. Would recommend to anyone! Cheers Kev. Couldn’t have passed without a brilliant instructor. I would definately reccomend Kev. Great guy, friendly, keen to teach and get students out on the road. Gives clear direction and advice, flexible lesson times and just generally great all round. Kev drury was my instructor, very easy to get on with felt at ease and helped me pass within 2 months! Great drving school passed my test second time with 2 minors , i enjoyed every second of my lessons, kev made the lessons very enjoyable and made sure everything i was doing througout the lessons i was comfortable with, kev is a very good instructor very patient and will take as long as he needs to ensure your ready for your test !!! Best driving school by far & Kev was so amazing! Made every lesson 100 x funnier & more relaxed. I wasn’t the easiest student to teach, easily frustrated and upset but Kev kept me calm and allowed me to get upset when needed and always turned everything into positives. Would give him 10 starts if I could. I would strongly recommend Kevin from supreme school of motoring as he has a very good method of teaching, he was very helpful and friendly. My confidence grew and I was able to pass my test first time. An excellent driving school and fantastic instructors especially Kev who makes every lesson enjoyable and at the same time improves your confidence as a new driver and driving skills ready for your test. Had lessons with Kev and made progress every lesson helping me to pass first time with only 24 hours of lessons, great guy and highly recommended. Highly recommended this driving school. I had Kev as my instructor and couldn’t of asked for anyone better. Made driving feel easy and comfortable, giving me the confidence on the road. Very relaxed and laid back environment where you’re able to have a joke and a laugh but also have the environment to make some serious progression. Thanks for everything! I highly recommend kev for anyone who is nervous about taking their first driving lessons. He made sure I understood everything before moving on and helped give me the confidence I needed to drive on my own once I’d passed. A super friendly person and a great teacher! An absolutely fantastic driving school for anyone thinking about driving, they support you through the whole process, and never rush you. I passed first time thanks to my instructor Kev, top man. Came in very sceptical because of the slightly higher price but my instructor kev made it all worthwhile. Taught very well with a clear, intuitive system that got me my pass first time in only 16 hours of lessons. Well worth the time and money. Extremely happy that I passed my driving test first time. I really struggled to believe that I could do it and nearly gave up numerous of times, but my instructor Kev was always reassuring and taught me how to see the positive in any situation. 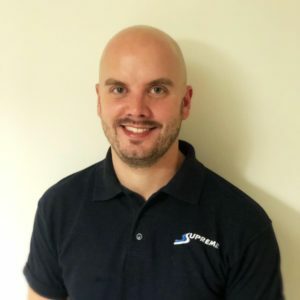 Would highly recommend Supreme and also Kev my instructor – very laid back, supportive, had effective teaching methods and also was quite funny I guess…. Thanks to Kevin Drury for great advise and very good teacher methods. Would recommend this driving school to other people!